On a long stretch of highway, a semi-trailer send a message to a trucking company stating the truck’s refrigeration unit is warming up. Before the product being transported has a chance to be affected from the temperature, the company notifies the driver of where to get it fixed, saving the contents in the truck from spoiling. Back at the main company headquarters, trucking experts are connecting with drivers on the road who are attempting to improve fuel economy. In a number of phone conversations, they work together to improve driving habits or diagnose equipment problems, allowing drivers to make fewer stops to fuel up. These are just two examples of how trucking and big data have intersected for early adopters like C.R. England Inc., one of the largest for-hire motor carriers in the country. Telematics and electronic on-board recorders (EOBRs) are transforming how large motor carriers transport goods. Using intelligent systems that collect data and communicate in real-time to ensure that food and beverages arrive unspoiled, drivers are more awake and highways are a safer place for everyone. Big data has brought the potential to protect, and possibly even expand, the trucking industry’s profit margins. Experts believe it won’t be long before multi-purpose monitoring units are installed in every semi-trailer across the America. C.R. England has installed in-cab telematics system in every single one of its company and independent contractor vehicles. That’s 4,500 revenue-producing trucks, plus training and auxiliary vehicles. 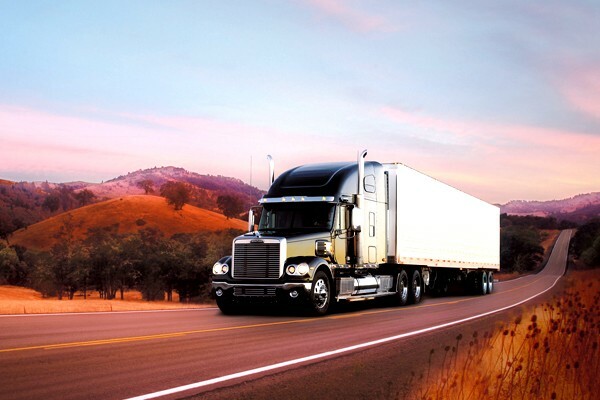 The devices track fuel efficiency factors, driving hours, location and critical events like harsh braking and the activation of trailers’ roll stability controls. This information is then communicated in real time to the company, by cell tower or satellite, and used to make future decisions en route. “If you’re adopting EOBR and not using that now-visible log data in your planning and swap decision making, then you’re not taking the most advantage possible of that data,” states senior director of operations technology, Ron Hall, at C.R. England. In 2008, the company began implementing EOBR at the encouragement of Chad England, now CEO, who was the senior executive for recruiting and safety at the time of implementation. Since then, the data collected by telematics units and EOBRs have been used to make sizable purchase decisions. “When we award business to a particular tractor manufacturer, we’ll actually award the business based on total cost of ownership, not just the purchase price, and fuel consumption is a major factor in that total cost of ownership model that we make our decisions off of,” says Hall. Number crunching has paid off. Hall states the devices have helped the company reduce deadheading (trailers traveling empty between unloading & reloading) from 8% of miles traveled to below 7%. He also estimates fuel efficiency improvements at a tenth of a mile per gallon per year for the last three years. Although big trucking companies have readily adopted big data strategies in their business models, smaller carriers have been less eager. “Based on our research, the small guys typically postpone a major technology investment three to five years,” says Dan Murray, VP of research for the non-profit American Transportation Research Institute. He adds that after bigger carriers have outfitted their fleets and tested early versions of products, prices usually drop and models are normally easier to implement, given input from early adopters. The Federal Motor Carrier Safety Administration (FMCSA) will soon require all carriers to install some type of electronic on-board monitoring device in vehicles to track how many hours a driver has been on the road and vehicle status. Supporters of the new rules, such as president of the Arkansas Trucking Association Lane Kidd, say that electronic devices will improve trucking safety. C.R. England’s compliance manager Kevin Carlisle says that for as many carriers that have implemented EOBR systems, “there are many, many more companies that are not using electronic logs.” And they’re missing out on a key advantage of adopting electronic logs: Carlisle says annual inspections found errors in 55% to 67% of paper logs, which can result in detention of trailers or fines. With the new electronic logs, he says, inspectors occasionally find no errors in their drivers’ logs during an inspection period. The future of telematics and big data in trucking, says Murray, lies in cross-referencing data on traffic delays, weather, and parking availability with real-time driver data to deliver information to the driver as fast as possible. For example, a driver’s device might tell him or her if weather ahead will cause a delivery delay that would extend past the maximum driving hours for the trip and then guide the driver to the nearest parking area. “I would say that within a couple of years that level of sophistication will be out in the truck—for sure within two to three years,” Murray says. More information on when to expect the electronic log mandate to be in effect.